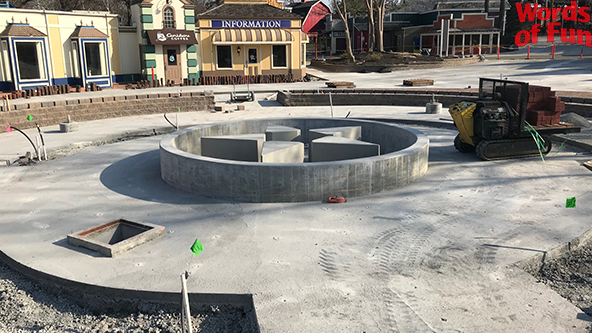 Today, Worlds of Fun announced that they would be installing a brand new fountain in place of the former Sunken Fountain near the Front Street Shops. 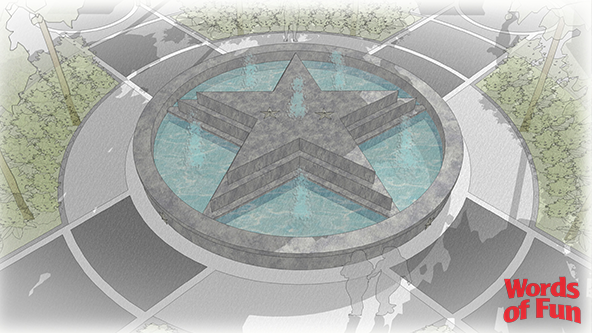 Here is conceptual art of the new fountain. 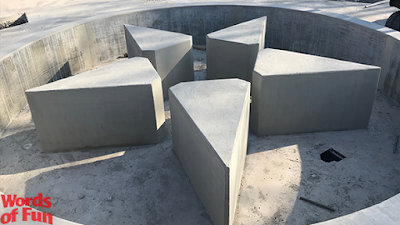 They have already completed quite a bit of the fountain. Here is a wide shot of the new fountain area. You can see where the greenery will go around the pathways. Here is a close up of the start of the star formation of the fountain. This is a major upgrade from what used to be here.